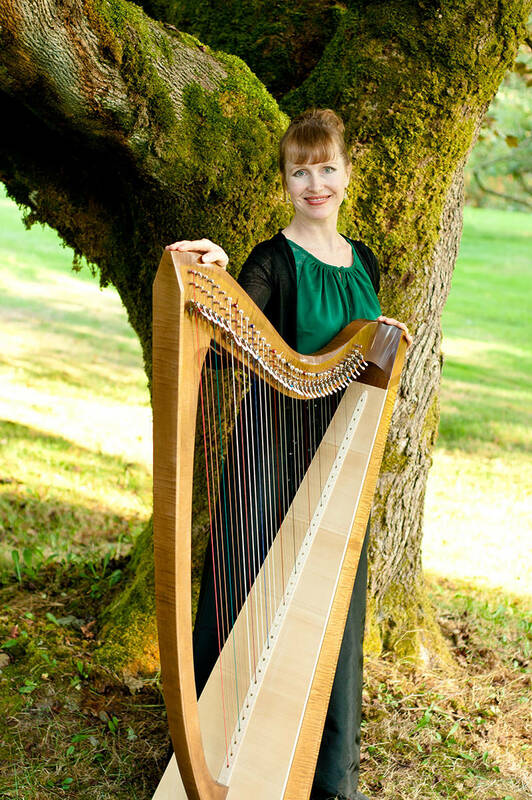 Oct. 30, 2017 2:30 p.m.
Celtic harpist Leanne Page will perform a free show at the Fort Gallery on Thursday, Nov. 2 from 7 to 9 p.m. Page, a Port Kells resident, is a diverse and versatile musician who brings a rich musical pallet to every performance. She will entertain guests as part of the gallery’s November “First Thursday” community arts event. Each month The Fort Gallery hosts a variety of visual artists, writers, poets and musicians from the local community who share their gifts and creations. As a classically trained singer, Page’s background covers a variety of musical genres from Opera to Celtic, Sacred to Classical, and Popular Crossover styles. Praised for her melodious playing and clear soprano voice, she regularly performs throughout the Lower Mainland, playing and singing in many spectacular and diverse settings from cathedrals to country clubs. The First Thursday event will be held in conjunction with the opening reception for the gallery’s current exhibit The Enlargement of Small Moments. Artists Elizabeth Anderson and Zuzana Vasko will be in attendance and will speak about their work.